February 2019: These toys and love cushions are built in a shape of heart and personifies love & closeness. Each of these range has either Love written on it boldly or a caricature of a couple together complimenting the season perfectly. The soft and cozy Teddy Bears with their heartwarming eyes are cuddly and extremely huggable and can become your loved ones best companion. 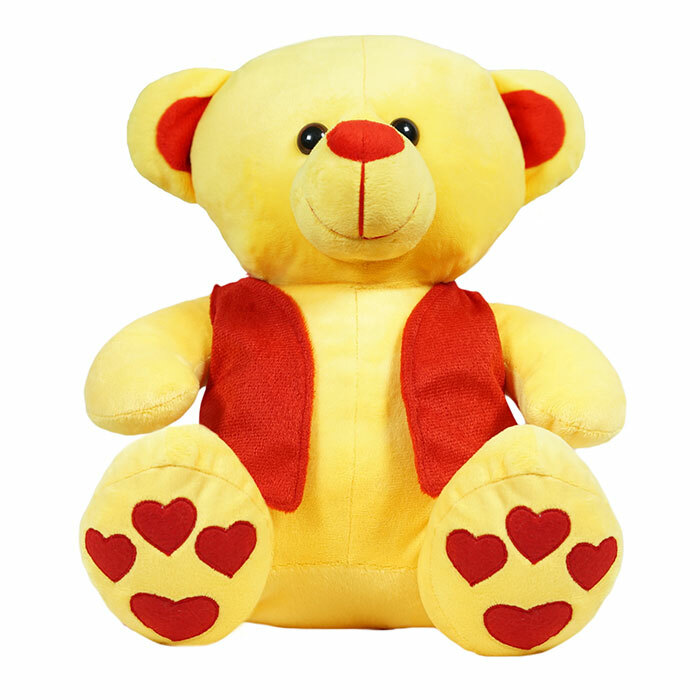 One can even express their personalized feelings through the customized Teddy Bears for their cherished ones. The Love Cushions are in the shape of a heart with the size ranging from 13 to 15 inches and are available in 2 different variants. These cushions can also be decoratively used to keep in the car, bedroom or drawing rooms. All the materials used in these toys and cushions are of premium quality, adhering to high safety standards and are soft, washable, skin friendly and non – toxic in nature. We have manufactured these soft toys especially for teenagers and youths keeping in mind their emotions, needs and demands. Other than the exclusive Valentine range, one can also gift uniquely designed & attractive pen stands, pouches, shoulder slings and plush Toys representing cute Penguin, Kangaroo, Dolphin, Panda & many other animals to ones loved ones. In order to make your presents more lovely and attractive there also are very beautifully designed 3d Gift Envelopes offered by Ultra.